ISLAMABAD: (APP) Union Ministry of Information and Broadcasting of India has reportedly penalized NDTV for its balanced coverage of the Pathankot terror attacks. Sources at NDTV confirmed to exchange4media website that the government had indeed ordered the broadcaster to shut NDTV India for a day on November 9, said a report published on exchange4media on Thursday. The government apparently felt that NDTV compromised national security and risked the country's strategic assets by airing the counter-terror operations undertaken by the security forces. 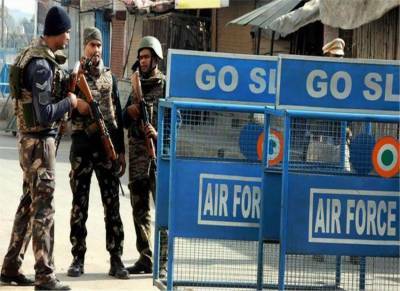 Pathankot Attack Drop scene : Is RAW running India’s Foreign Policy ? There was speculation as to why NDTV was being singled out when several networks aired the operation on their respective channels. Some at NDTV believed that their coverage was among the most balanced. The order was being viewed as "absurd" and "crazy", insiders said. NDTV was expected to challenge the order, the report added.